Saturday, December 14th, was a snowy one. 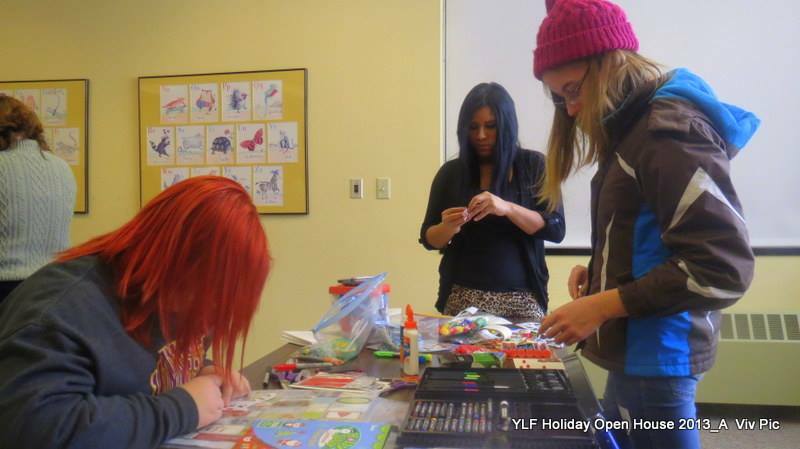 The Youth Legacy Foundation (YLF) youth were nestled all snug in their beds while visions of sugar-plums danced in their heads… that is, all except the three who braved the weather to make gifts and volunteer with us at our open house! Thank goodness some people came since Viv even made cupcakes. Edina’s libary on Grandview Square is a fantastic meeting space and soon we were knee deep in supplies, making gifts to give out to our relatives and friends. At 11:00 am or so we began our service project by talking about how volunteering is leading in the community. Leaders take action, volunteering helps fill or fix a need in the community, and so volunteers are leaders in their community. In 2014, we’ll repeat this over and over while we further discuss the concept of leadership. At YLF we do two things. As a communication hub we advertise volunteer service opportunities and attend those opportunities with interested kids. Also, we instigate volunteering. Our youth are leaders who identify problems and work to address them. At this holiday event we made cards for people experiencing mental illness and talked about NAMI, the National Alliance on Mental Health. 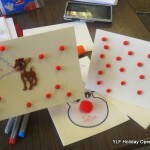 By making cards for those who are hospitalized we addressed the loneliness and hurt some of our community members might feel as they experience mental illness. 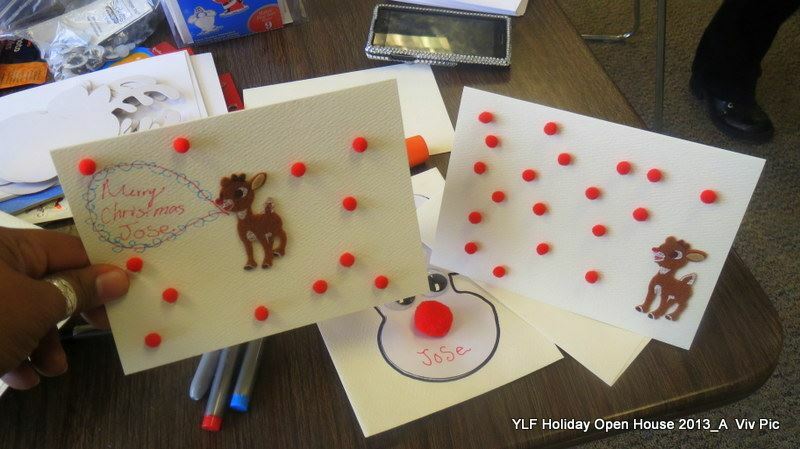 Oh, and YLF would like to thank Jeanette and Viv for the card making supplies. Woot, you guys rock! Next January we’ll volunteer in an animal shelter or some place having to do with animals. One of our kids is checking that out. I hope you can join us!